The first day of Aries is March 21th. Are you an Aries, or do you have a friend or family member who is an Aries? 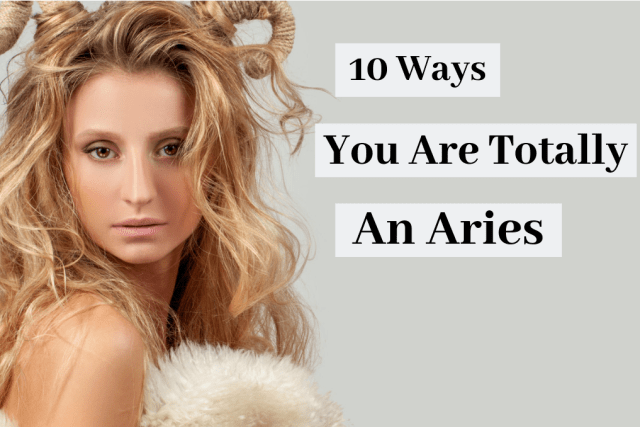 Let's see just how "Aries" you are! 1. You are a natural born leader and totally know how to take charge. 2. You are fearless in the face of danger. 3. You are hard to predict and very spontaneous. 4. You have a fierce rebellious streak and do exactly what you want. 5. You are straightforward and have no time for BS. 6. You are loyal 'til the end. 7. You are opinionated as hell and you make sure your voice is heard. 8. You are either the sweetest person in the world, or your worst nightmare. 9. You are ultra competitive and won't give up without one hell of a fight. 10. You have a sensitive heart. So, does this describe you? If so, you are a true Aries!